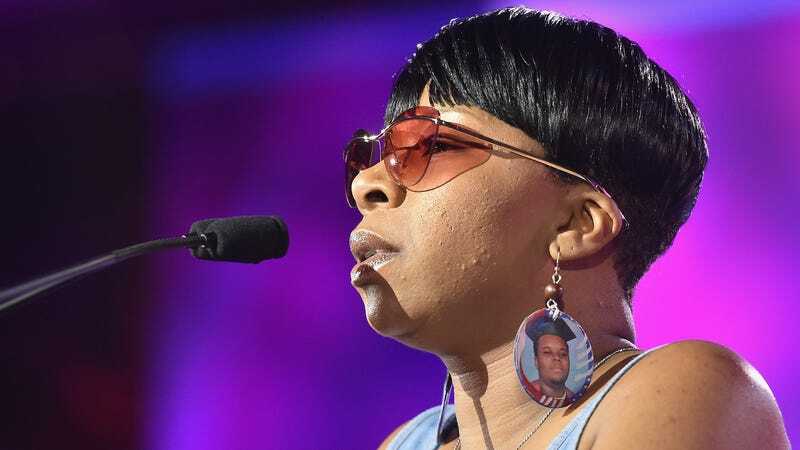 Four years and one day after her son Michael Brown was fatally shot by police officer Darren Wilson in Ferguson, Missouri, Lezley McSpadden has announced her bid for city council. McSpadden, who has been mulling a bid since April, made her announcement in a press conference on Canfield Drive, the same street where her son was killed. “Three of my major things that I will focus on when I’m elected, cause I’m speaking it into existence, is community policing, economic equality and access to health care for all of Ferguson’s young children and everyday people,” McSpadden said, according to St. Louis CBS affiliate KMOV. The announcement comes days after a primary election in which black community activist and city council member Wesley Bell ousted longtime St. Louis prosecutor Robert McCulloch, who declined to bring charges against Wilson and instead opened a grand jury that ultimately declined to indict him. “This ousting of a 27-year incumbent shows the country what black voters have demonstrated for decades—that we demand to be heard and that we will make criminal justice reform a ballot-box issue in 2018 and beyond,” Rashad Robinson, spokesperson for the Color of Change PAC, told the New York Times about Bell’s win. McSpadden also launched a petition asking Missouri Governor Mike Parson to reopen the case investigating her son’s killing with a special prosecutor. “They won’t disrespect us any more once I’m elected,” she said on Friday.